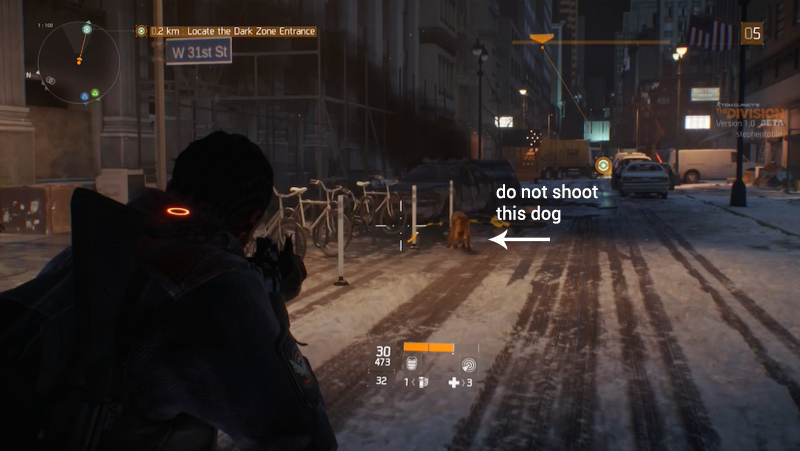 If you’re playing The Division’s beta this weekend, you may come across this dog. The dog can die, if you happen to shoot it. So...maybe don’t? Also killable: crows and rats.